The Internet of Things (IoT) is the inter-networking of physical devices, digital machines, mechanical machines, objects, vehicles, buildings, or people that are embedded with electronics that transfer data over a network. 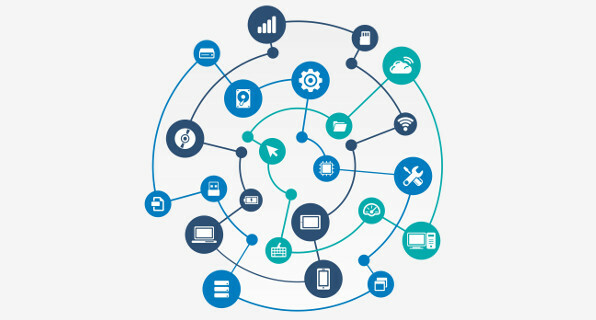 Sensors connected with other IoT objects can provide immediate information to multiple devices. This makes it a great use case for realtime services. There is many ways IoT devices can be brought up to speed and scale with realtime. Real-time data often needs to be pushed to multiple devices. Talend offers a platform where you can stream connected devices with external data such as the weather. Realtime can also help stop credit card theft and prevent medical device failures by streaming the proper data to the correct devices. And of course, the most obvious example, you can use realtime services to stream messages to multiple connected devices as well. Citing Hackernoon, “Imagine we have a data warehouse like hive having petabytes of data in it. But it allows us to just analyze our historical data and predict future. So processing of huge volumes of data is not enough. We need to process them in real-time so that any organization can take business decisions immediately whenever any important event occurs. This is required in Intelligence and surveillance systems, fraud detection etc.